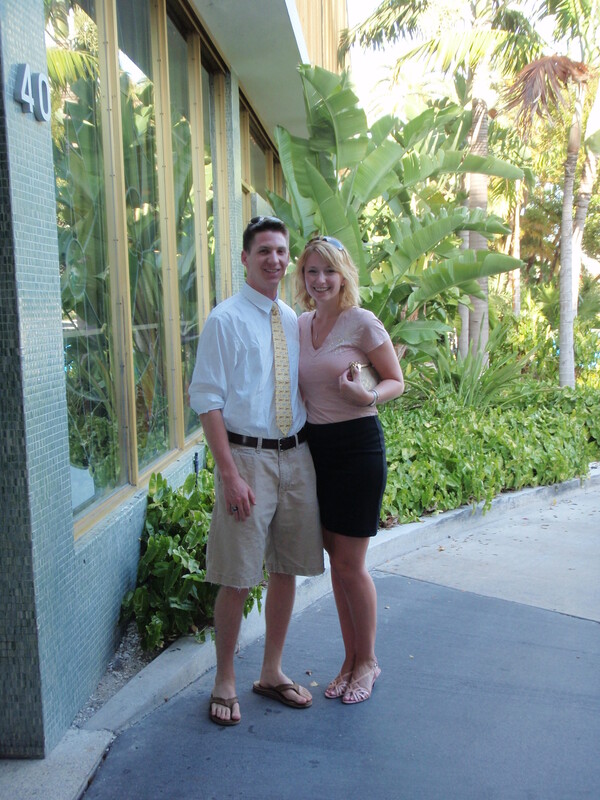 Last weekend, Adam and I went and stayed at The Standard Hotel and Spa in Miami Beach for our anniversary. It was amazing. The hotel is a registered landmark, so it maintains the original facade. Most of Miami Beach makes up the art deco district, a complete architectural throw-back to the ’60s. The buildings all have old school neon signs and post-modern geometric patterns next to classical Greek columns. It’s a great place to walk around both during the day and at night. In the afternoon, we checked in early and headed to the spa. We baked on the deck covered in rejuvenating golden mud, dipped in the infinity pool and checked out the steam room, sauna, and sound shower. It was a fun few hours of being grown-ups in a luxuriously kid-free zone. That night, we headed to Creek 28 at Indian Creek Hotel, a short drive from our hotel. Sitting out on the patio, we started out having the whole place to ourselves. We each had a bowl of tomato soup with cheesy croutons to start, then I had the pork with veggies and Adam had the Mahi fish of the day. Our waitress came out and mentioned that the kitchen had received the wrong cut of pork, and would two pieces be alright instead of one? I said sure, not realizing I was getting myself involved with two gigantic pieces that I had no chance of finishing. Adam and I split a bottle of white wine and a strawberry shortcake dessert before heading back to our room to watch the Duke-Butler championship game. We also polished off two bottles of Pinot Noir from my mom during the game. Then Duke won, and we went to sleep happy. The next morning, we slept in and headed back out to the deck. We tried out the swinging chairs in the garden, disappointed there was nowhere to put our feet up as well. The pool was a bit chilly, so we sat out on the deck relaxing for our last few hours at the Standard. We headed back into Miami Beach and walked down Ocean Boulevard to find some lunch before taking an obligatory beach photo. Adam really enjoyed the architecture, and it was so refreshing to be somewhere bright, sunny, and colorful again. March on the East Coast isn’t the most exciting time of year, and after New Zealand it can be a bit dismal. We had a great time at the Standard, looking forward to going back, and a great time in the sun.